Are you travelling to a country that puts you at risk of contracting yellow fever? I recently attended an update for my Yellow Fever training and felt it appropriate to write a little something about travelling and Yellow Fever, its distribution around the world and to provide some links to ongoing outbreaks. Yellow Fever is a tropical disease spread by mosquitoes and is found in sub-Saharan Africa and South and Central America. It is not found in Asia and I will touch on this again shortly. The disease has its origins in monkeys. The disease passes to humans via mosquitoes usually after we have entered their environment. Yellow Fever can be transmitted by several species of mosquito and so Yellow Fever can sustain outbreaks in jungle, savannah and urban areas. How Can You Treat Yellow Fever? There is no specific treatment for individuals who are infected by Yellow Fever, and any treatment given is purely supportive. 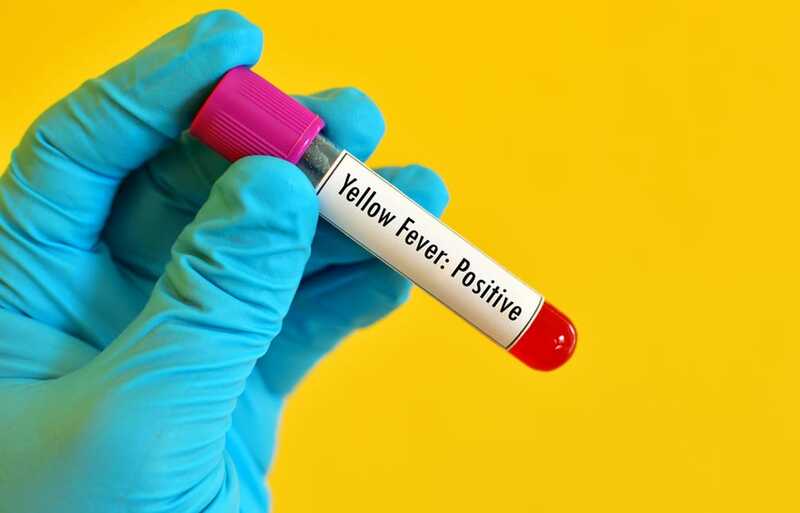 Symptoms of Yellow Fever include “flu like symptoms” which may then progress to bleeding, jaundice and multi-organ failure. The death rate from wild Yellow Fever is relatively high, of the 15% of patients who develop a serious form of the disease 20-50% of these may die (figures from CDC). How Can I Stay Protected Against Yellow Fever? Thankfully there is a very effective vaccine available to prevent Yellow Fever. After only one dose of vaccine most patients will gain lifelong immunity against Yellow Fever. The vaccine has been in existence for a very long time and has a good safety profile but care must be exercised when administering the vaccination as some groups of patients are more prone to adverse events. These include (but are not exhaustive) those of 60 years and patients who are immunocompromised. Please speak with your Yellow Fever centre or contact us at TravelPharm if you have any questions. Earlier I mentioned there not being Yellow Fever in Asia. I often get requests for vaccination for travel to Asia and is usually because patients have misunderstood the guidelines that various sources publish. In Asia they do not have Yellow Fever but they do have the mosquito that can transmit Yellow Fever. Most countries subscribe to International Health Regulations and each country produces its own stance on Yellow Fever certification. Most countries of Asia will require travellers who have arrived from yellow fever transmission regions to present a certificate at the border. The UK is not a transmission region and so travel directly to Asia from the UK does not require vaccination or certification. I hope that you have found this little post interesting. Yellow Fever is a very serious disease, one that can be easily transmitted and is, therefore, one of only a few diseases which are governed by international health regulations. Yellow fever can get very complicated and vaccination is always based on individual risk assessments. Before you go travelling it is vital to ensure you done your research to ensure a safe journey. Our partner centres at Manor Pharmacy can advise more specifically on an individual basis. This blog post was written by Travelpharm head pharmacist Andrew Walton. It’s great to see people promoting awareness about this disease as it can be quite dangerous. Seeing these statistics, it’s quite alarming to know that 15% of patients may develop a serious form of Yellow Fever. I’ll be sure to share this article with other travellers.